Borin writes: "Les Disques du Crépuscule was founded in Brussels in 1980 and had a close relationship with Factory Records in Manchester. John Peel played several of these more obscure releases (who else would?) and the name of the label lodged in the mind. 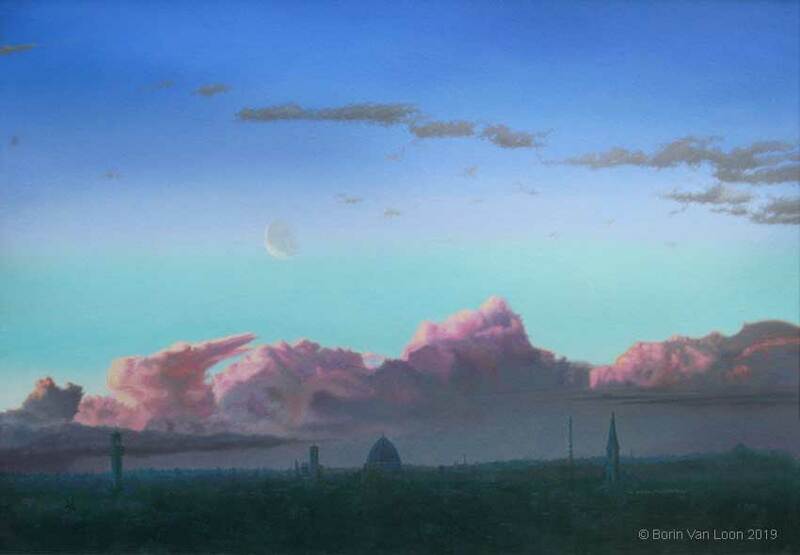 My skyscape hangs over a semi-imaginary landscape with a crepuscular moon a ghostly presence."